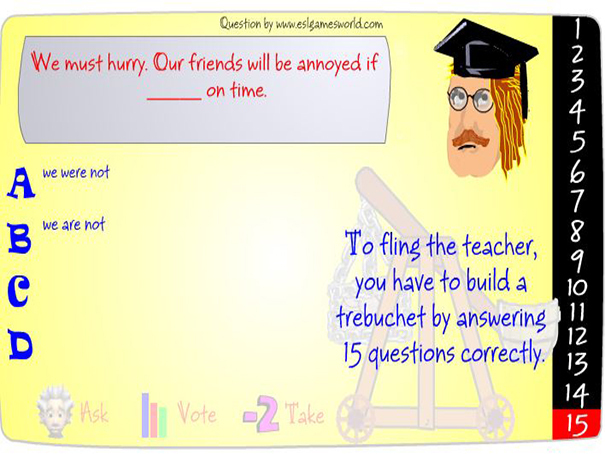 This is a game to help practice first, second and third conditionals. Answer 15 questions in a row correctly and watch your teacher fly! Use your help options if you get stuck.